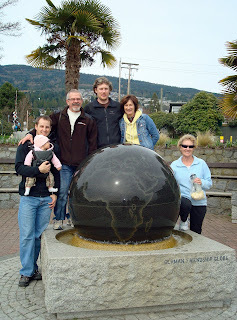 We had such a great trip to Vancouver in the middle of March. We got to see so many people and sights and really had a nice time. 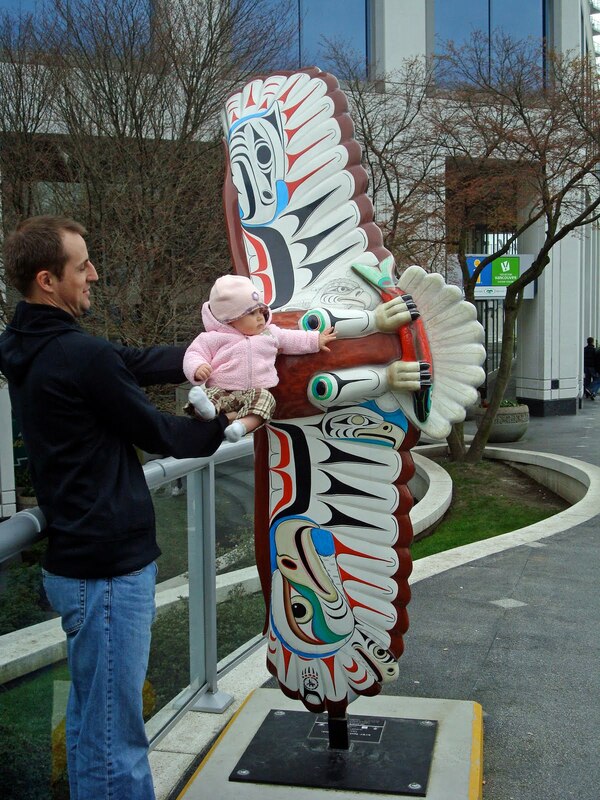 What a great way to celebrate Gracie's 6 month birthday. 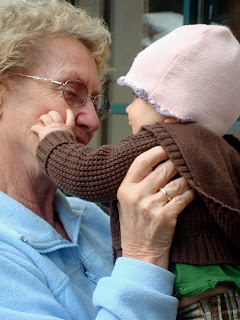 Great Grandma Malacko playing with Gracie. It was their first time meeting and there were a lot of smiles from both of them. 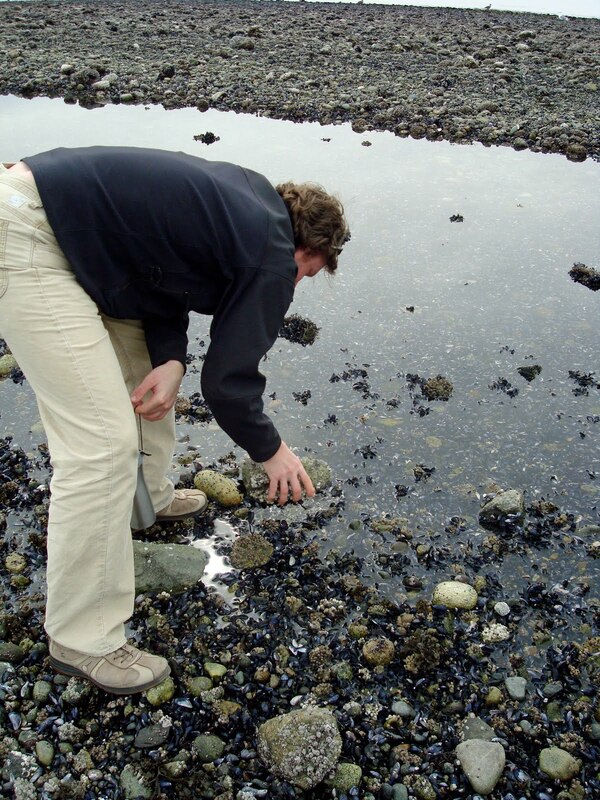 Cousin Rob hunting for crabs and other creepy crawlies. 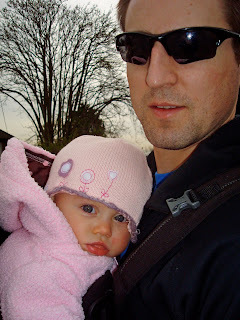 Gracie waking up from a little nap while walking with dad. 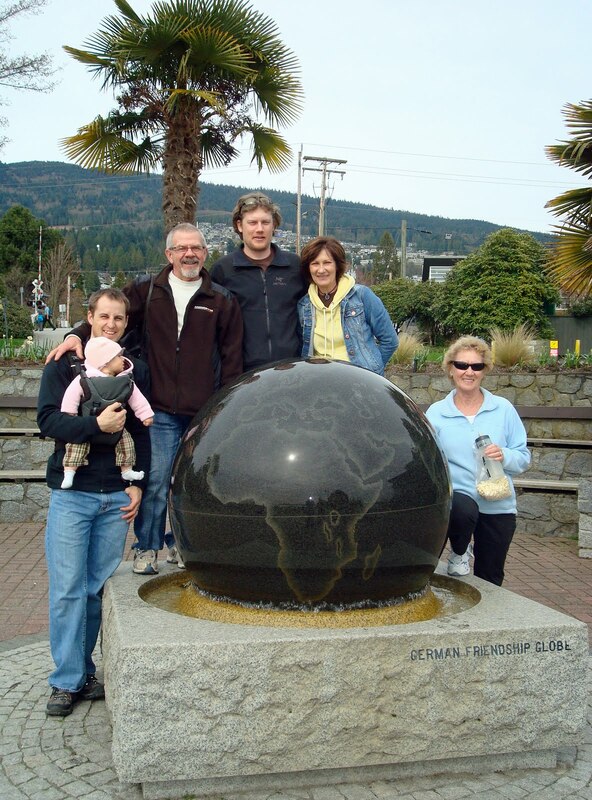 Brad and Gracie, Uncle Richard, Cousin Rob, Aunt Lynn, and Grandma posing with the Globe. 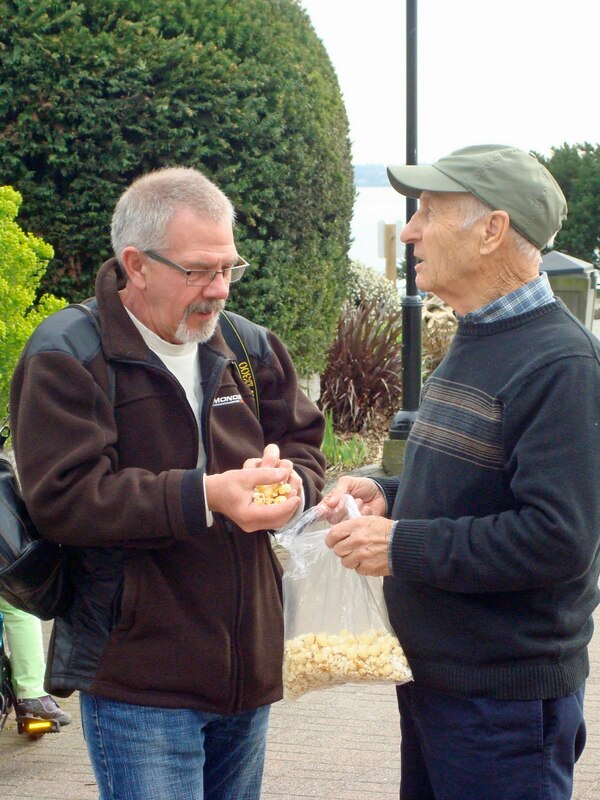 Richard and Grandpa enjoying some kettle corn. 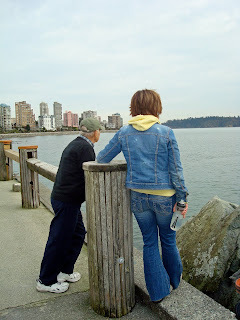 Grandpa and Lynn enjoying the sites. 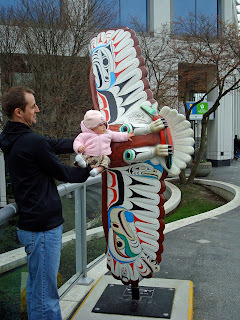 Not sure exactly why Brad wanted this one.... Gracie sitting on an eagle's head?? Apparently I was supposed to cut him out of the picture, but I think this is funnier. 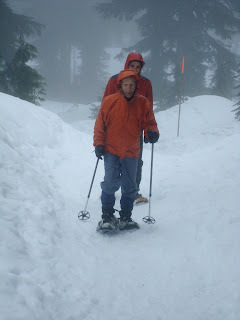 And a few snowshoeing pictures. 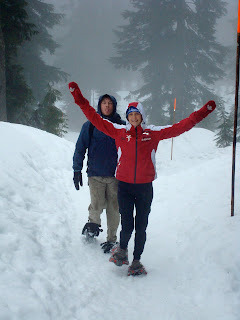 Cousin Caylee and her boyfriend, Cam, Rob, Brad and Grandpa all went out for a quick, wet snowshoe.